17626 Rainsbury Avenue, Carson, CA.| MLS# DW19075242 | Southern California Homes for Sale. Search properties Southern California. 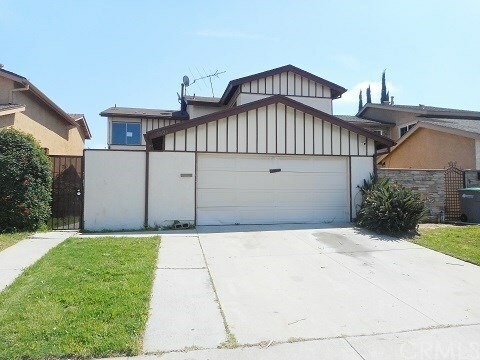 **HUD Home in Carson** Back on the market! Don't miss your 2nd chance at a great deal! This diamond in the rough is located 1 block from Cal State Dominguez, 2 blocks from Stephens Park 2 blocks from freeway access! Who could ask for more? Do you love TV home shows? If so this spacious 4 bedroom with 2.5 baths, a large living room and giant master bedroom is perfect! This is a blank canvass that has suffered some wear and tear and is ready for your custom make over. Best of all with the new increased loan limits and rehab financing available from FHA you can purchase and fund your repairs with 1 loan and 1 low down payment. Now available for investor purchase!! !